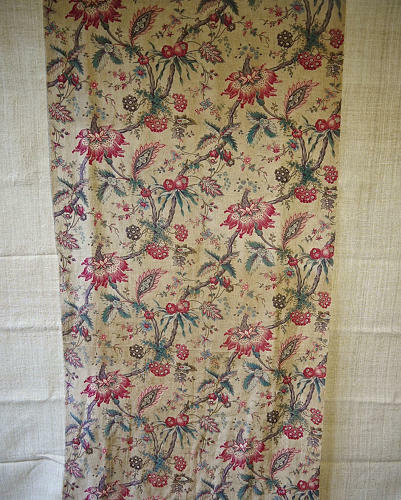 Later 19th century French printed light cotton indienne panel.Soft rasberry and rose pink exotic flowers on pale mauve and grey meandering branches on a faded pale beige patterned ground.Beautiful flowing design. Light and slightly fragile cotton with small tears and an old repair. Would look lovely mounted on a frame as a wall decoration.